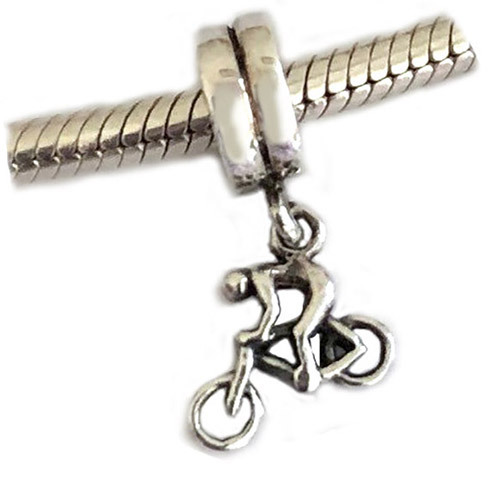 Bicycle Rider Carlo Biagi Charm Dangle Sterling Silver and a great way to personalize Pandora style bracelets. Fits on Carlo Biagi, P-NDORA, Troll, Chamilia and more. Sample display bead, Price reduced! Bracelet not included.